The sunliquid® plant will convert around 250,000 tons of cereal straw into 50,000 tons of cellulosic ethanol per year. This biomass must be provided in the required quantity and quality at the right time and cost. Therefore, one of the main focuses of the project was to establish a reliable feedstock supply system. The project partners assessed different suitable rural areas that provided enough arable land to secure an abundant supply of sustainable feedstock, even during times of lower harvest. The southwestern part of Romania was identified as being rich of agricultural residues of which a major part is left on the fields to be burnt. Farmers in that region are welcoming the project as it gives them an alternative use for the straw that at the same time will lead to additional income. 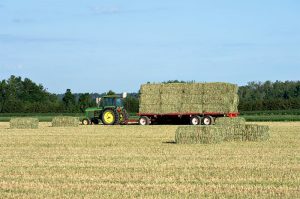 Straw is usually harvested within a few weeks during the year. 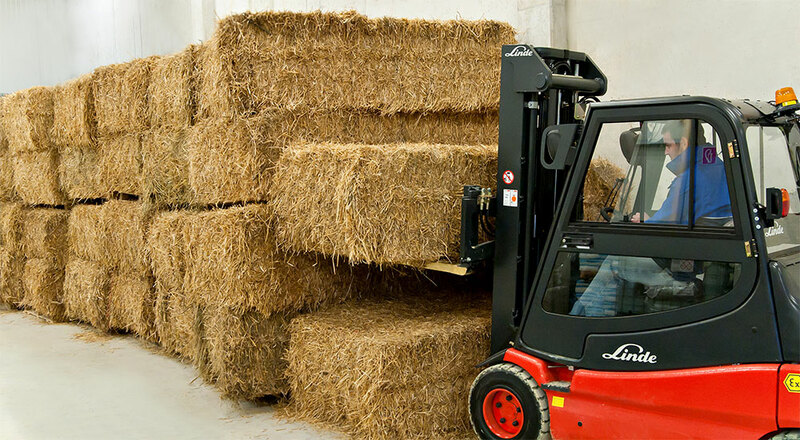 That is why most of the straw for the process needs to be stored and then transported to the plant just-in-time for production. The bales can either be stored at the farms directly or at interim storage facilities.